I was enjoying the shorter days cycling and I’d already sacrificed the challenge early on. I decided to take a much more direct route back to Hoek van Holland. So today I set out for Utrecht. The route along the Nederrijn took me through pre-historic woodlands and the first real gradients of the trip. Wasn’t Holland supposed to be flat?!? 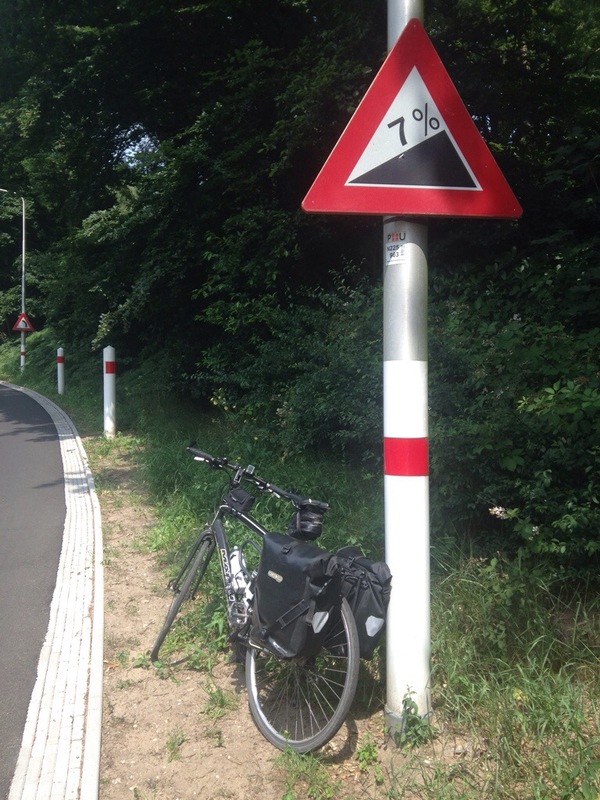 The hills were a nice change, and it wasn’t until I turned northwards to Utrecht that the headwind reminded me just how heavy my legs were still feeling. The weather was great again today, 21c with a mixture of sun and cloud cover. Absolutely perfect for cycling. However as I reached Utrecht the rain finally caught up with me; soaking me first when I was looking for my hotel, and then again as I tried to eat a pizza by the canal in the evening. The people in Maastricht are going to be devastated! I was NEVER going to Maastricht Su, that bit of the Netherlands looks so land-locked by France and Germany they may as well just sign it over to them!